and Federal and Commercial Contractors Large and Small Business Presidents and Vice Presidents. Engineering is in our DNA. Over past 27 years, CEE Corporation is made up of highly experienced architects, engineers, developers, project managers, and other team members from information technology and engineering, specializing in providing unique cutting-edge technology solutions to overcome modern problems and to provide solutions for federal government agencies, local government organizations and private sectors in accessing to information technology resources and helping them efficiently in performing their critical business processes need. CEE Corporation have acquired extensive experiences in design and deployment of secure application-aware multimedia networks as well as the design and implementation of secure, and reliable IT systems through association or contracting opportunities with several top-tier companies and government origination. Our goal is to make it easier and more affordable by providing innovative technology solutions and exceptional services to your organization and taking your business to next level. 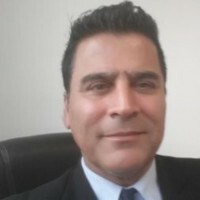 CEE (Core Engineering Enterprises) Corporation named for an organization with agility, expertise, and cutting-edge technology solutions, is the fourth enterprise that Dr. Bahman Davani has worked as Founder, Owner, and Chairman of Board. Dr. Davani is responsible for all aspects of CEE Corporation’s strategy and growth. He is an expert in creating and leading successful business units and expanding organization business growth. He is a serial entrepreneur whose focus is creating and building companies that specialize in Information Technology, cloud solutions, software applications and integration services for government and commercial enterprises. His companies are known for having talented personnel, being consistently well-run, and highly profitable. A strong leader and relationship builder able to immediately connect with decision makers at all levels. Addlogx LLC is the second enterprise which Dr. Davani has worked as Founder, Owner, and president. In 1999, Dr. Davani founded his first company, GCE (Global Communications Engineering) LLC. Today GCE LLC is an IT systems integrator for military, security, and civilian government agencies, responsible for introducing technology solutions, managing, consulting, executing large-scale engineering contracts and providing both technical expertise and effective program and project management. He has been working as an operational advisor, scientist, and technologist across several new technology ventures. Dr. Davani also is Fonder, Owner, Chairman of board and CEO at AII (Artifical Intelligence ) Corporation, CW Corporation, CEETECH Inc. & CEE Education Academy (to be CEETECH University:CU), and CI Corporation (CIC). AII- CW – CEETECH – CUand CI are Global Information Technology professional services companies specializing in providing the best cutting-edge enterprise solutions for various vertical industries. Enablers of a premium managed services and technology solutions providers. For past 17+ years, since the start of Department of Homeland Security (DHS), Dr. Davani has introduced, architected and delivered many cost-effective, ROI (Return on Investment), high performance technology solutions for DHS HQ, Science and Technology (S&T), Immigration and Customs Enforcement (ICE), Transportation Security Administration (TSA), Department of Defense (DOD) Defense Information Systems Agencies (DISA), General Services Administration (GSA), National Aeronautics and Space Administration (NASA) agencies and commercial customers. Dr. Davani builds relationships with teaming partners’ CEOs and provides business strategic decisions. He advises organizations on teaming partners and technology selections resulting in organizations generating more revenues – high net profits and achieving more business success. A visionary, results-driven leader, responsible for overall company strategies, and business-critical processes for high performance, maximum efficiency, and lowest cost. Focuses on strategy, planning for scale, future growth and leveraging new technologies to reduce costs and achieve optimum efficiency. Solid executive skills, change management ability and consistently partnering with ventures global lines of business for success. A leader is known for innovation, reputation for teamwork, inclusion, leading and developing the results-driven company that achieves significant ROI results. Mr. Daniel Thompson is CEE Corporation executive vice president of business development and PMO. He has over 30 years of highly diversified experience in general management, financial management, enterprise portfolio management, strategic planning, and” C” level reporting. Dan is an exceptionally energetic, enthusiastic and creative professional with expertise in corporate, turn around and start-up. Practical thinker, quality oriented with high standards and expectations. At CEE Corporation, Dan is responsible for CEE business development and implementing high-tech enterprise project management solutions for government and commercial institutions. He possesses an excellent record of business development and program management/execution skills that improve hardware and software processes through careful analysis and large-scale project development efforts that drive efficiency and profitability. The following are some of Dan’s track records of achievements. Saved FEPOC $300k by optimizing existing work tools rather than contemplated new purchase. Strategic Consulting – Developed and maintained product Strategy and roadmaps with senior management. Provided market research/white papers to support initiatives. Assured 100% compliance with no reportable software failures for implemented solution utilized by US Custom and Border Patrol. Developed OMB 300 and CPIC reporting for HHS, DHS/ICE. Automated outdated NRC manual planning system improving efficiency 15%. Led and mentored DHS project managers in PMO (Project Management Office) using EPM. Established workflows for DHS PMO. Provided senior management weekly DHS reporting on PMO activities. Managed U.S, Treasury-Central Bank C & A audits – 5 data centers and 30 custom applications. Helped SBA systematically create credit enhanced marketable bonds backed by disaster loan portfolio to the public to address congressional concerns over poor collection efforts at SBA. Reduced risk of loss on loan portfolio by over 90% to SBA and US taxpayers. Served as Farm Credit Administration Chief Spokesman to US Senate and US House of Representatives on Banking Bailout legislation that resulted in a $4 billion bailout. Bailout subsequently returned system to profitability. Dan is an executive vice president skilled in the ability to transfer knowledge, motivate sales and management teams with an emphasis on providing guidance that encourages team members to perform at their highest levels. Mr. Thompson has B.A degree in Economics from Bethel College, St. Paul, MN and MBA in Finance from University of St. Thomas, St. Paul, MN. Mr. Ronald Budzich has over 15 years of executive business development experience and has expertise across a variety of industries including engineering, operations, financial services, enterprise mobility, cloud / on-premise / hybrid software solutions, social business and digital media. Seasoned leadership, efficient, systematic and results-oriented executive vice president with a proven ability to build, manage, and mentor high-performance operations team. Ron has a history of spearheading innovation as a business leader through all stages of a corporate lifecycle from start-up through global Fortune 100 institution. His primary role within CEE Corporation is to identify and execute on business development and sales strategy to drive early stage revenue growth and lead CEE operations. 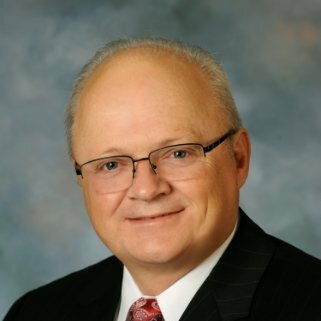 Prior joining CEE Corporation Ron served as Senior Management for 11+ years at Cisco and EMC. During this time, Ron was instrumental in executing his executive management skills in building strategies, leading operations, and increasing company revenues. Mr. Budzich has B.A degree in Business from SUNY Morrisville NY. management, and” C” level reporting. A dynamic and uniquely experienced individual with Public Sector P&L responsibilities including Program Management Operations, Business Development and Capture leadership. Leveraging his MBA, Law degrees and experience, Earle has achieved rapid revenues growth with measurable and sustainable outcomes in the Defense, National Security, and Federal Civilian markets in each VP-Level PMO and Business Development & Capture Executive position held at E-Systems, then Raytheon, Leads, AC Technologies and now at CEE Corporation. Colonel Munns’ long term trusted relationships are maintained in two National Intelligence agencies, Federal Defense (Army & Air Force), and Civilian Healthcare (VA, DHA, HHS) markets. Notable achievements in the last four years include awards of major vehicles CIO SP3, Army ITES 3S, Army RS3, GSA Alliant, GSA VETS 2 GWAC, GSA IT70 Cyber SINS, and Encore III. His existing network of client relationships is across Army IT program offices and is leveraged to drive and cultivate new work. He has a trusted relationship with Contracting Officers, Program Management, and VP-Level Executives, including Federal Agency General Officers and Vice Presidents,and Federal and Commercial Contractors Large and Small Business Presidents and Vice Presidents. Valued Experience as highly successful U.S. Army Regional Vice President, and Federal Acquisition Executive. He left Active Duty to the TXARNG, and joined in 1991 the National Security/ Intelligence Community company E-Systems, Inc., who then merged in 1995 with the National Defense market giant Raytheon, where sales and operations post-merger issues were successfully resolved. He assisted in the financial restructuring and recapitalization of AC Technologies in 2007-10 with a 3x revenue growth by 2013. Updated in 2015 the AC Technologies’ Public Sector New Business PMO and Capture process for management report to funding partners. At E-Systems, he was Capture Lead/Vice President on Intel $2.6B in 1991, then DOE M & O award at Nevada Test site. Colonel Munns’s rapid and sustainable growth outcome at CEE Corporation is through his innovative PMO and Capture Management processes, market strategy, and business operations and process optimization. SAP enterprise resource planning (ERP) applications including customer relationship management (CRM), financial management, human capital management, and supply chain management. Army CHESS application development of major system involving Classified Intelligence systems integration. Microsoft SharePoint systems management and consulting. DOJ and FBI operations management and application development. Federal Civilian. ORACLE Cloud Services open business software and hardware solutions. He has provided Oracle Financials and Purchasing Budget Formulation solution sale to Enterprise DLA and DTRA. He has published resolution on the operational issues of PBES. Notable DHS Data Centers, Contact Centers, and Control Centers Oracle System application development. Rockville Data Center. Classified Army Command Centers. Classified National Security Data Center. Lean agile “DevSecOps”, Cloud Computing and Data Center Management. IBM Cloud Federal Managed Services with Oracle, Appian, Open Text, & SAP. National Security major systems JAVA, C++ application development. 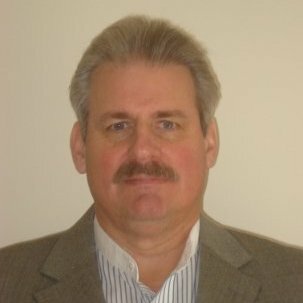 Earle is a former Army Contracting Command Acquisition Executive with Army Program and Industry relationships at CECOM, APG, PEO IEW&S and C3T; familiar with most major Army IT professional support services acquisition vehicles. Army Signal 3 Star Leadership guidance in 2018 was “Agility, Mobility, & Space “, and “Move Command Centers “In the Battle Space in 30 minutes not 3 years”. This is where the Army will spend. At CEE Corporation, Earle is responsible for information technology services, security solutions and mission support services for VA, Army, Intel, and Air Force. Earle has C-level skills and ability to transfer business development knowledge, motivate sales and management teams with an emphasis on providing guidance that encourages CEE Corporation members and CEE clients to perform at their highest levels. in the CEE Corporation organization comprises of profiling and fabricating of several CW Corporation Solution offerings. A computer engineer by education, CCNA, and ITIL Framework certified with proven records of providing expert Technical Consultancies to various customers in different aspects of technical solutions. He actively heads the projects for Network Infrastructure building both LAN & WAN over wired and wireless technology for CW Corporation and CEE Corporations customers. Mr. Jain is an experienced executive business developer expert in building strategies, leading operations, and increasing company revenues. Mr. Jain has a BBA degree in Management from Institute of Management Research and PGDIT degree in Information Technology Institute & Software form Institute of Management Technology, Ghaziabad. Mr. Anjan Deb is CEE Corporation Board of Advisor member. 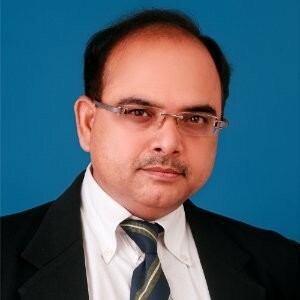 He has over 29 years of highly diversified experience in Information Technology and 10+ years proven track record as CIO (Lead – IT), and” C” level reporting. 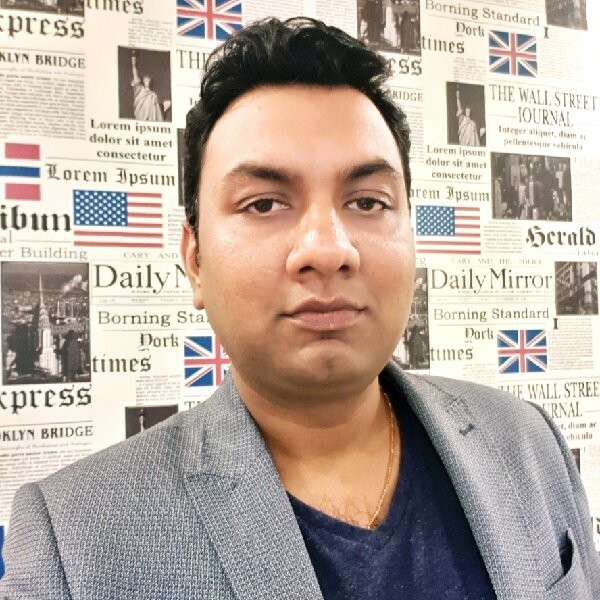 Anjan has been with CEE Corporation Board of Advisors since December 2018. An exceptionally initiative, seasoned leadership, technical efficient, systematic and results-oriented CEE Corporation Board of Advisory member with a proven ability to build, manage, and mentor high-performance technical engineering and operations teams. An expert in Maritime and Shipping industries. Implemented the IoT set up at 4 ships to pull real time ship performance data at shore. Strong and strategic CIO and business adviser in developing and maintaining product solution strategy and roadmaps with companies C-level management in providing technical whitepapers, market research support initiatives. Anjan is a highly successful technical business leader through all stages of a corporate business and corporate technical life-cycle. His primary role within CEE Corporation is to work closely with CEE Corporation CEO, to identify and execute on technical business development and CIO strategies to drive early stage revenue growth and lead for CEE Corporation and, CEE partners, and CEE clients. Mr. Deb has B.S and Master degrees in Statistics, and MBA degree from Cal. University. To protect and serve our customers by anticipating their needs and outrunning vision with innovative technology solutions and exceptional services. Your Business and your goals are what we are trying to achieve, working with you side by side along the way to meet any challenges. Either it be hardware, network, software, reporting, marketing, mobile, or web solutions, we are there to provide the answers to meet your needs and budget. We have partners throughout the world and have experts willing to assist you at anytime for any need you may have.